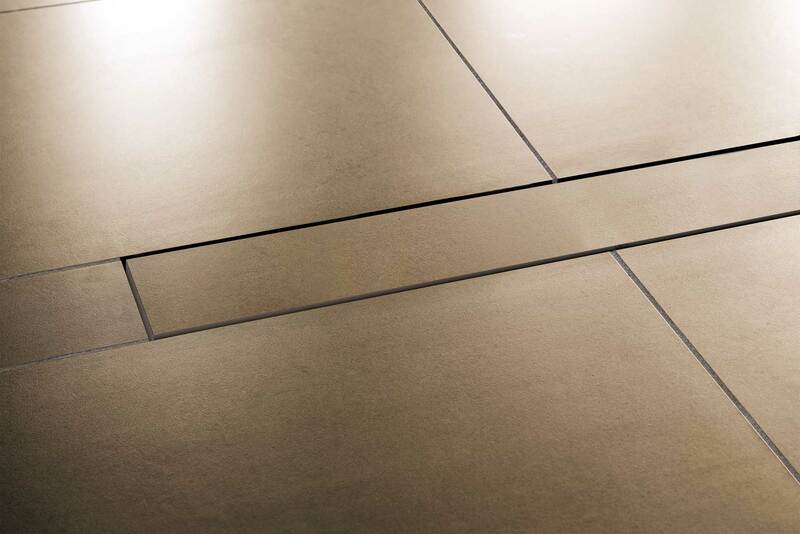 Schluter Systems is a world leader in the development of innovative installation systems for ceramic and natural stone tile. Their building panels with warrantied waterproofing membranes have transformed the way that tile contractors and do-it-yourself 'ers, work within wet rooms in both residential and commercial projects. 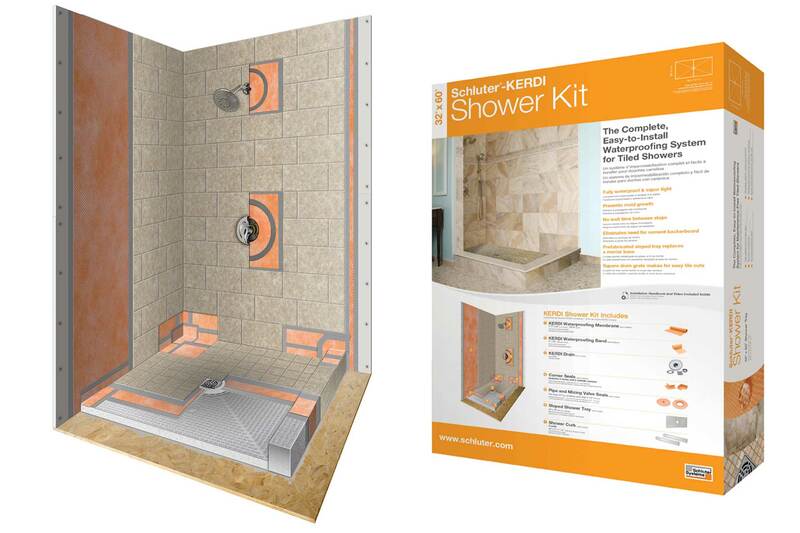 Schluter systems product line includes building panels, shower curbs, shower niches, shower benches and shower trays, enabling you to build a shower of any size and any configuration -- simple yet practical building blocks. In addition, each of these building blocks are manufactured using expanded polystyrene (PS 40) and require no special disposal and can be recycled. No CFC’s or HCFC’s are present in either the product or in the manufacturing process. 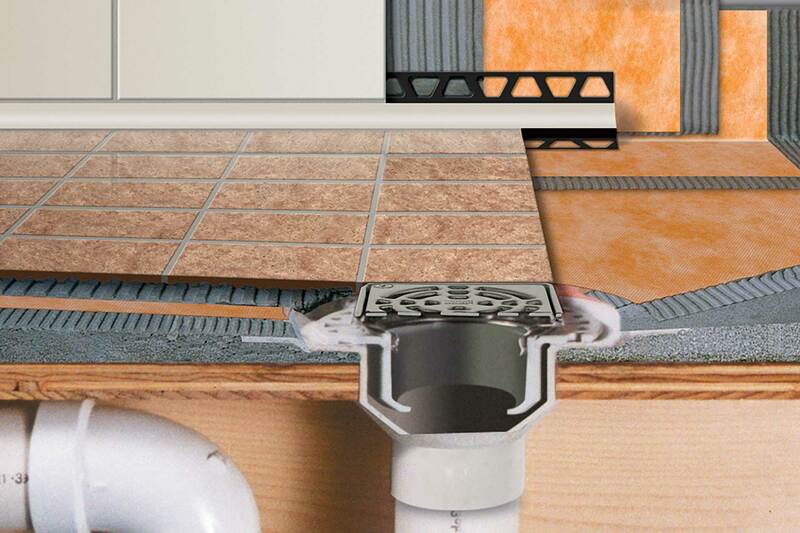 Over the past few years, Schluter has expanded their product lines to include tile finishing, edge-protection and transition for floors, walls and counter-tops; and has most recently added a revolutionary radiant floor heating system that is not only economical but provides a 4-in-1 solution: uncoupling, waterproofing, vapor management and strength/support to ensure a long lasting installation. San Diego Marble & Tile was one of the pioneer dealers of Schluter Systems and we have been a proud key dealership for more than 10 years. We are proud to offer Schluter products at the best price possible and we offer full support to all our customers as we know that Schluter is a company that we can trust and that stand-by their product. All our staff are specifically trained and certified by Schluter as part of their in-house training program. We can help you select the right products for your project. Just give us a call or come in to any of our convenient San Diego locations. everything needed to complete your Schluter build & install project. Simple yet elegant. 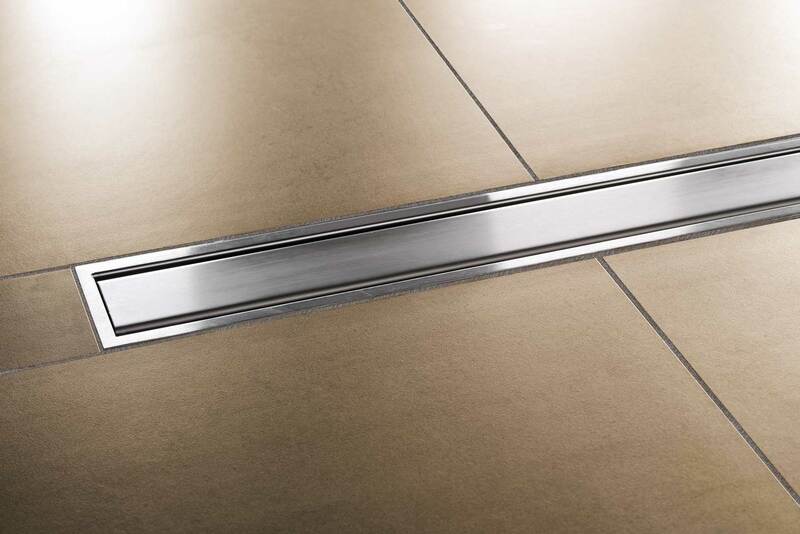 The grate assembly consists of a brushed stainless steel frame and closed-design, brushed stainless steel grate. Available in a variety of sizes depending on shower size and layout. The invisible drain. 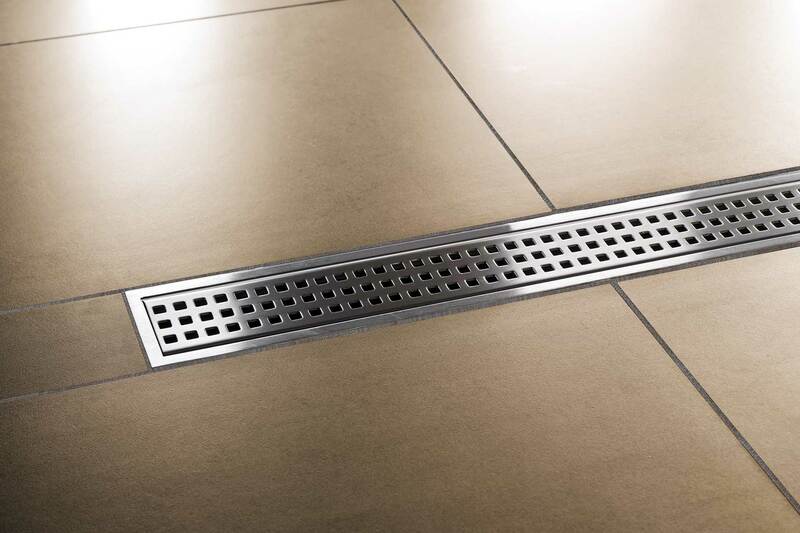 The grate assembly consists of a brushed stainless steel frame and plate with Schluter-Kerdi laminated on the surface to allow for bonding of tile and stone in order to create a virtually invisible drainage line.